Three Krieger School faculty members are among 17 eminent Johns Hopkins scholars from across the divisions selected to serve as the inaugural group of Gilman Scholars—a prestigious designation named in honor of the university’s first president, Daniel Coit Gilman. "The newly created designation recognizes individuals who are exemplars of the highest ideals of the university, demonstrated through a record of distinguished research, artistic and creative activity, teaching, and service," said Provost Lloyd Minor, noting that the inaugural list includes Nobel laureates, award-winning teachers, world-renowned experts, and the heads of departments and centers. Charles Bennett, a professor of physics and astronomy, is widely recognized as one of the leading astrophysicists of his day. He oversaw the Wilkinson Microwave Anisotropy Probe space mission, which precisely determined the age, curvature, composition, and history of the universe. Using WMAP, Bennett and his team took the first-ever detailed full-sky "baby picture" in the microwave light from 379,000 years after the Big Bang. His groundbreaking work in cosmology has earned him the 2010 Shaw Prize, the National Academy of Sciences’ 2009 Comstock Prize in Physics, the 2006 Harvey Prize, the 2006 Gruber Cosmology Prize, and the 2005 Henry Draper Medal. Throughout his career, he has made significant contributions to the knowledge of cosmology through pioneering measurements of the cosmic background radiation, the oldest light in the universe and a remnant of the hot, young universe. In 2003, he and his team made international news with their announcement that the universe is less than 5 percent atoms, one-quarter dark matter, and nearly three-quarters a mysterious dark energy, as well as that the universe is 13.7 billion years old. Adam Riess, a professor of physics and astronomy and a scientist at the Space Telescope Science Institute, is renowned for his leadership in the High-z Supernova Search Team’s 1998 discovery that the expansion rate of the universe is accelerating, a phenomenon widely attributed to a mysterious, unexplained "dark energy" filling the universe. The discovery was hailed by Science magazine as "the Breakthrough Discovery of the Year" in 1998, and the researchers involved shared the 2006 Shaw Prize in astronomy. Riess’ accomplishments have been recognized with a number of prestigious awards. In 2008, he won a $1 million John T. and Catherine D. MacArthur Foundation Fellowship Grant and was named a fellow of the American Academy of Arts and Sciences. In 2007, he shared the Peter Gruber Foundation’s Cosmology Prize, and in 2006, he won the $1 million Shaw Prize, considered by some to be "the Nobel of the East." In 2009, Riess was elected to the National Academy of Sciences. This year, he was awarded the Einstein Medal in recognition of his leadership in the High-z team’s 1998 discovery. 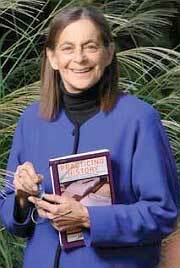 Gabrielle Spiegel, a Krieger-Eisenhower Professor in the Department of History, was elected president of the American Historical Association in 2007. A historian of the Middle Ages, Spiegel is the author or editor of four books and more than 40 academic articles. Her article "History, Historicism and the Social Logic of the Text in the Middle Ages," which appeared in Speculum in 1990, has been hailed as one of the most important analyses of medieval historiography ever written, and as a critical intervention in debates over historians’ use of postmodern theory. The article has been widely reprinted, translated, and commented upon, and won the article prize of the Berkshire Conference of Women Historians. Spiegel has held fellowships from the John Simon Guggenheim Memorial Foundation and the Center for Advanced Study in the Behavioral Sciences, among many other honors. Gilman Scholars will retain the title as long as they remain at Johns Hopkins, or until retirement. The existing group of scholars will help select up to five new members annually. The total number of Gilman Scholars will be strictly limited. Nadia L. Zakamska, of the Krieger School’s Henry A. Rowland Department of Physics and Astronomy, has received a Sloan Research Fellowship to continue her work that uses Earth- and space-based telescopes and large data sets to answer important questions about the universe and its origins. Renowned theoretical physicist Marc Kamionkowski will join the Hopkins Department of Physics and Astronomy this July, the department announced just before Arts & Sciences went to press. Kamionkowski, formerly of Columbia University and most recently an endowed professor at Caltech, has spent much of his career researching cosmology, astrophysics, and elementary particle theory. "Marc is one of the world’s leaders in the study of the dynamics, large-scale structure, and early history of the universe," says Dan Reich, chair of the department. "His research, which spans the boundary between particle physics and astrophysics, is directly relevant to much of what our department is already working on. He is a perfect fit."